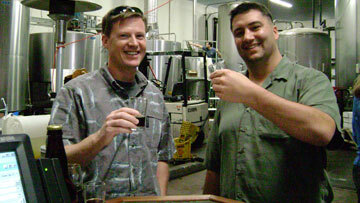 Bay Area Brewery Tours offers beer enthusiasts the insiders view of the Bay Area's premier craft breweries. On the tour you will visit a variety of breweries, each with a character as rich and individual as the beer they make. At the breweries you will taste award winning beers while learning all about beer! From beer tasting, to beer styles, to how beer is made....the topics are endless! 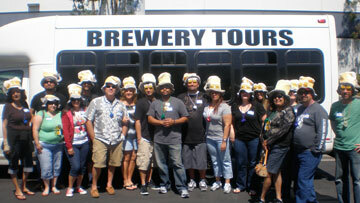 Whether you are by yourself or in a large group, Bay Area Brewery Tours has the perfect package for you. Enjoy a day sampling the very best craft beer the bay has to offer with other beer lovers like your self! Grab your friends and tour Bay Area breweries the way you want in your own private vehicle! Treat your organization to the Bay Area’s yummiest beers and breweries. We provide private brewery tours to meet any organizations needs. Book a private bus to get to and from other events and activities in the San Francisco Bay Area. 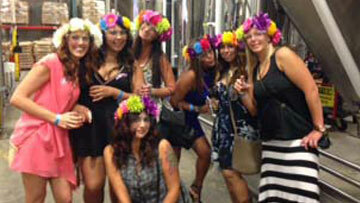 Check out the many Bay Area craft breweries we visit on our tours!